The Zagato-designed Iso Rivolta Vision Gran Turismo supercar will feature in the video game Gran Turismo Sport, and will also hit the road in five actual production models. The most notable auto shows around the world are often home to some bizarre concepts, and quite often, a few hidden gems. While this one may not exactly be a hidden gem, it is still a pleasant break away from all the autonomy and electrification that most concept cars have presented at the Tokyo Motor Show 2017. We are talking about the Iso Rivolta Vision Gran Turismo concept. Those familiar with cars will remember the name for the stunning coupe-based supercars that hit the road back in the '70s, and now, relatively new Italian automobile designer Zagato has come up with a concept design by reviving Iso's iconic Rivolta. 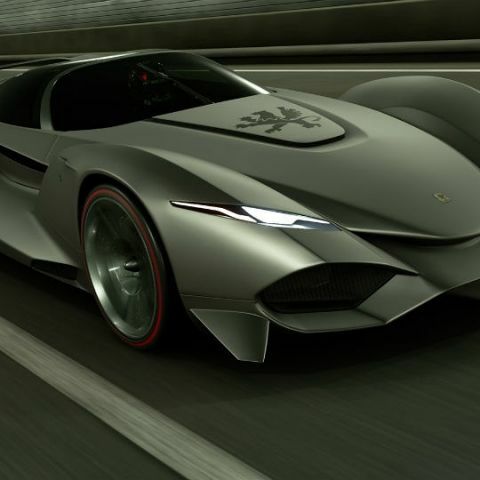 This new concept is based on the classic GT coupe - the original Iso Rivolta, which was unveiled back in the 1960s. The Zagato concept borrows the basic chassis design, but is much more aggressive, modern and quirky than the original Iso GT. Additionally, it is also equipped with a commendable powertrain - a custom-tuned Corvette V8 engine built by Chevrolet producing 997 brake horsepower and driving the rear wheels, along with a 10-speed transmission. While the in-car technology package has not been clarified, it is to be understood that the Zagato Iso Rivolta Vision Gran Turismo concept will include enough in-cabin luxuries, including a modern infotainment system, dynamic drivetrain adjustments, audio setup, climate control, performance seats and more. These will make for seemingly mundane additions to this concept, as the focus will remain on the engine and the design. However they will play their role in equipping the car for on-road usage as Zagato aims to bring a limited number of these concepts into production - five, at best. Further details - pricing, availability, etc. are not clear as yet, although it is certainly going to be rather pricey. The car will feature in the video game Gran Turismo Sport, and be available on Sony's PlayStation 4 consoles. That, as of now, seems to be the best bet if you're eager to get a taste of how the reworked, iconic GT would seem like on road. Which is the best laptop for a designer?